The Lenovo Z5 is yet to be seen by the public’s naked eye and yet the hype continues to build up with several teasers of the smartphone already revealed. Perhaps the most striking one is the fact that the smartphone will have a 95 percent screen-to-body ratio and the 4TB of overall storage. Now, Lenovo’s VP Chang Cheng has given us another reason to look forward to the phone and it comes from battery department. Experiencing 45 days of battery life is a very impressive feat for a smartphone. The Nokia 3310 has a maximum standby time of 31 days, so for the Lenovo Z5 to display significantly more endurance is something very impressive indeed. 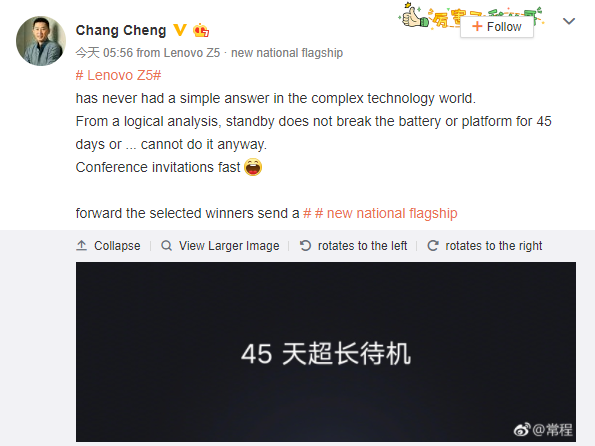 Chang Cheng, Lenovo’s VP announced on his official Weibo page that the phone has 45 days of standby time. This means the phone will have a considerably large battery and some aggressive battery-management internals to make this happen. While we do not know the screen size of the smartphone, it will be interesting to see how the company pulled it off as the phone has really thin bezels, according to a sketch that we’ve reported about. Chang Cheng had confirmed earlier that Lenovo Z5 will be released in June. According to what the renders have displayed, the Z5 will neither have bezels on the sides or above the display. 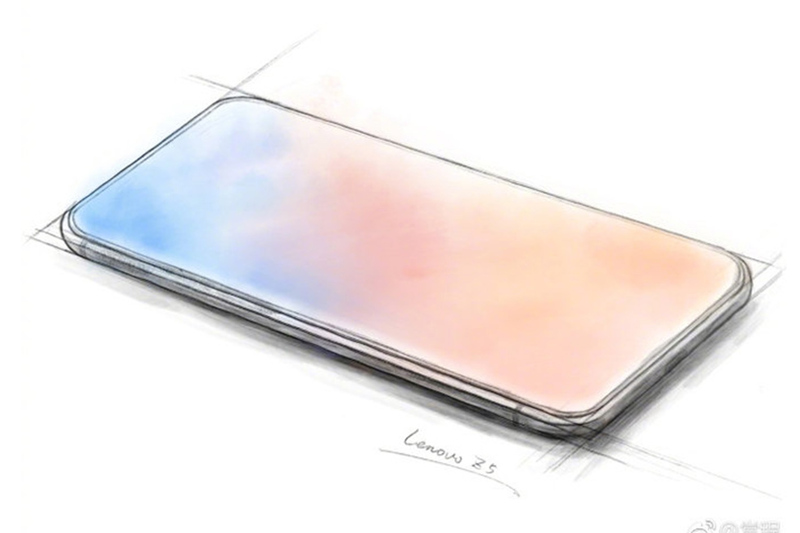 The renders did not show the bottom of the smartphone but the sketch shown above shows that the bezels at the chin will not be present either. Another phone with this much screen area is the Vivo APEX and features a 98-percent screen-to-body ratio. To remind you, its alleged announcement is only weeks away. Even though Lenovo’s VP Chang Cheng hasn’t said the following, but based on its feature and design it is likely that it will be a flagship. The phone could be powered by the Snapdragon 845 64-bit octa-core chipset and will be supplemented by 6GB of RAM. The rest of the specifications we’ll get to know when the smartphone is unveiled next month, with Lenovo hosting an event on June 14.